Vels Institute of Science, Technology & Advanced Studies is a private university which was established in the year 1992 with the motto of providing best quality knowledge to the students through its courses. 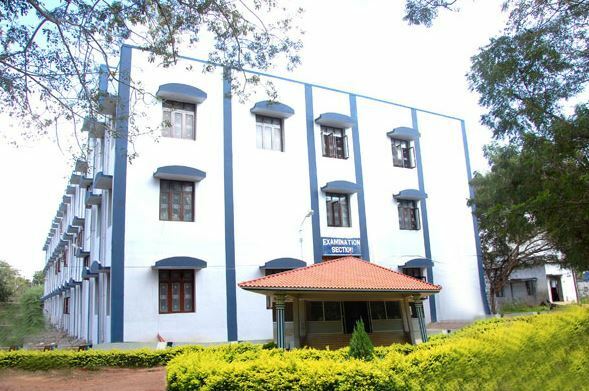 Initially it was known by many names such as Vel’s College of Science, Vel’s College of Pharmacy, Vel’s College of Physiotherapy, Vel’s Srinivasa College of Engineering and Technology and Vel’s Academy of Maritime Education and Training. It was granted the status of deemed university in the year 2008 by UGC under section 3 of UGC act 1956. It has been approved and recognized by UGC & NAAC. The admission into the university is through VEE (Vels Entrance Exam). It is conducted by the University for admission into its engineering, management, law, pharmacy and other programs. The admission for some programs id also based on merit. The urban campus spread across a sprawling 29 acres accommodates separate hostels for men as well as women. There are various other services available such as the medical houses, research labs, hostels and canteens. The university offers a variety of courses such as B.Tech, M.Tech, M.E., MBA, BA, M.A., MPT, Craft Course, LLB, MCA, B.Pharm, M.Phil, Diploma, B.ed etc. The application to these courses can be made through online method and offline method. Online method: An online application form can be filled and submitted through the university’s website and the payment can be made through Credit Card, Debit Card or Net Banking. Offline method: Application forms can be downloaded from the website along with the prospectus or ordered by post. The form must be properly filled and send to the “Registrar, Vels University” with a DD of Rs 500 payable at Chennai. Note: Students from other universities must present an eligibility certificate. For most of the Bachelors level courses passing marks in 10th and 12th are required. The pass percentages ranges from 50%-60% for different courses. The Vels Entrance Exam ( VEE ) scores would be required to bag a good place. The eligibility criteria for admission in Masters level courses a graduation degree in the relevant course with passing marks and qualification of the VEE. MPhil candidates must have a minimum of 50%-55% marks as per the regulations by UGC and 55%-60% as per AICTE. Depending on different courses. An entrance exam by the university must be cleared for further admission proceedings. For the post of a full time P.hD research scholar candidates must have a minimum of 50% marks in the entrance exams held for different streams. For part-time research scholars the qualification norms are slightly altered. The VELS University is located in Pallavaram, Chennai, Tamil Nadu, India. The campus is built on 20.13 acres of land and has a lush green surrounding. It has state of the art infrastructure for all the department situated in the campus. The university campus provides with spacious lecture halls, well-equipped laboratories, Air Conditioned computer rooms, well stocked digital library, spacious and cool auditorium and well-equipped workshops. 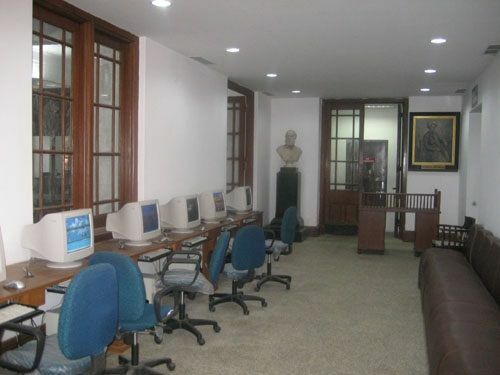 There is 24×7 on-campus internet connectivity. Other facilities include a canteen, health center, sports complex, recreational block, bank, ATM, post office and courier services. The health center is well equipped and is handled by adequately educated doctors and staff. It has separate hostels for both boys and girls. The rooms are neat and well furnished. Each room consists of a bed, study table, and cupboard. The hostel facilities include laundry, recreational and mess services. Each hostel has its own supervision warden and an adequate number of security guards. Indoor games are provided in the hostel premises and a recreational room is also built for each hostel separately. Varied kinds of cultural events and social services are regularly organized on campus. Varied clubs include cultural club, sports club, and literary society. The university regularly takes part in inter-college fests conducted in the region. I got admitted into the college based on my class 12th marks. I did not had to go through any entrance test. But i have heard now they accept scores of entrance tests. The fee for my course is around Rs 80k, this is what other college are charging. We also have to pay some miscellaneous fee every year. The college has a separate placement cell to groom us during the placement season. The average package offered is around 3-4.5 lakhs. Students get placed in companies like Ernest-Young, Jaro education, Capgenimini and other top companies. 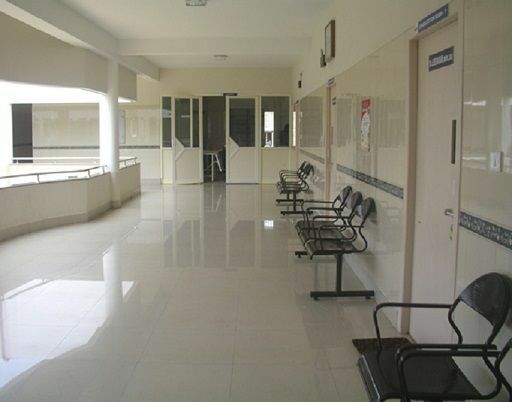 The college provides hostel facilities to students. There is bith girls and boys hostel. The hostels are not locted inside the college campus but nearby. Students can choose eith single rooms or shared rooms. The hostel fee is around 1.1 lac per annum. The fee of the hostel varies as per the choice. As the college is new, there is not much of an alumni network. Though the seniors are very friendly. The faculties of the college are well qualified. They are very supoortive and go out ofntheir way to make students understand complex concepts. Other than the tect book theory method they also teach through projectos. The gender ratio of the university is same. There are also students studying from different countries which gives a student a lot of exposure about different cultures. There is no discrimination on any bais. The college is pretty strict when it comes to attendance and the student has to maintain atleast 75% overall. Student have to score the minimum passing marks in all. The college does not provide internship facilities but internship is mandatory for every students. Students have to find the internship on their own. Students also have to submit a report about the internship. The university does not provide any loan facility, students can contact pvt or govt banks for the same. Scholarship is provided to students who excel in either academics or sports. The overall environment of the college is great and I will recommend this college to students. The placement of the college was a bit low for my batch but now the college provides goof placement. The management of the college is also good. Admission into the college is through management entrance tests. I gave mat and scored around 80 percentile and since the college in my hometown itself and in one of best here, I decided to take admission in this. You might also have to go through the PI round for the final admission. The fee of the college is very decent around Rs 4 lakhs. Compared to other college this amount is very average as they charge a lot of fee and do not provide quality education too. Students are also provided scholarship is they have scored very well in entrance test. The placement of the college is improving year on year is what I have heard. For my batch of 2009 the placements were low only around 50% got placed. But don’t judge it by this as we were only the 2nd batch for MBA program. The hostel room are spacious but need to be shared by 2-3 other students. The food of the mess is ok. The warden and guards are very strict and do not allow anyone until they are not authorized. There is also a garden to play different sports and gym to exercise. The college allows a regular alumni meet where student can interact with the seniors. There also a fb page where alumni keep on posting their experiences and also students can have a chat with them. It is a good way to increase your contacts which will be beneficial in the long run. Almost all of the faculties here have served a good time in the corporate field and thus learning is fun as they keep on telling us practical scenarios of theoretical concepts. Almost all of them have a over 5 years of corporate experience and have phds in their relative specialization. They are also very understanding and cooperative. The college always have some or the other event happening. There are twice no of boys in comparison to boys. Some of the events are dance competitions, music events, quiz, debate etc. In the hostel every birthday is celebrated. No ragging is done. The structure of the exams are very easy and students do not feel the pressure if they study regularly. 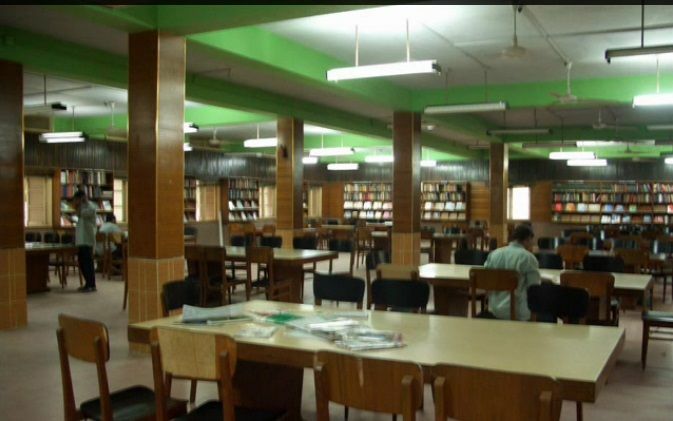 There is a dedicated library for mba students where they can get subject books, newsletters etc. There are around 5 exams i.e 3 internal and 2 external. No internship is provided we have find it on our own. Also, we have submit a detailed report on the internship and some marks are given based on that too. This all happens in the final year. I don’t have any knowledge about the scholarship or loan. Though I think so scholarship is provided to top ranking students. I don’t know much, you can go check out at the admission office. To get into the college i gave the university's own entrance test whihc is called the VELS Entrance exam. IT is conducted for various courses and admission into the imprtant courses is done onky through this. I chose this course and this is what my parents wanted and also over the time i also developed the interest in it. The fee structure for the PharmD course is Rs.1,50,000/- per year, which can be paid semester wise. And the fee structure varies from course to course. Also, if you are topper or something so can get some fee waiver too. There is not much placement as the coures is still anew one. But also you should not be disheartened by this as there are still a lot of high paying jobs in the market if you go out and have the required skills to do it. Yes, the college has a hostel and the best part is that it is in the campus itself so we did not had to spend on transporation. Hostel facilities are average. Food in mess is good. But they can do more. Hostel has good water and electricity facilities. Ventilation is good. All faculty are well knowledgeable person. Most of them are doctorates. Some are pharma d graduates. They are many industry experiences professors. They are very professional and their standards are good. Even though being a deemed university, they provide well talented and recruit only best professors based on their research experience and publications of papers. The campus life was fun for me. Especially bcoz i am a outgoing person. Students here do participate in extra curricular activities. The labs here are well maintained and equipped. The college follows the semester system and there are 2 semester every year. We have a lot of practical classes which can be tiering at times but overall it will be helpful in the long run. The eams are conducted on time and the results are almost released on time. No. For my course they is no internship provided by the college. But if you arte actually interwested in doing one you should go and contact your faculty and they will be able to hook you up. Though They is no stipend. But they provide 25% of that semester tuition fees as scholarship for every semester to person who scores overall 1st Rank in a semester. And state and central government scholarships are also availed by various students time to time.